I arrived in Chachapoyas after a 9 hours mini-van (colectivo) ride from Tarapoto, squeezing with locals with not much leg space and forgoing lunch. Chachapoyas is the capital of the Amazonas region in Peru, although at 2235m above sea level, the city is located in the Cordillera (mountain range) and resembles nothing remotely Amazonian. Chachapoyas (‘people of the cloud’) is also the name of the people who lived in this region centuries ago. 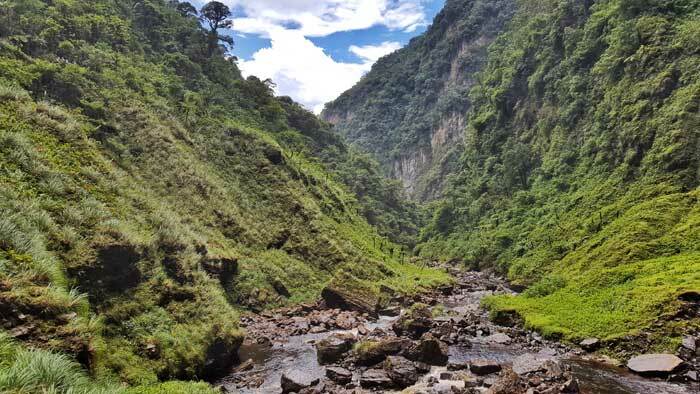 The three main reasons most people come to the Chachapoyas area: Gocta Falls, Kuelap Ruins and the Karajia Sarcophagi. Lined around the main square in Chachapoyas are numerous tour agencies offering daily trips to these attractions. Not another waterfall! Even though I love chasing waterfalls, I’ve always been disappointed with recommendations. 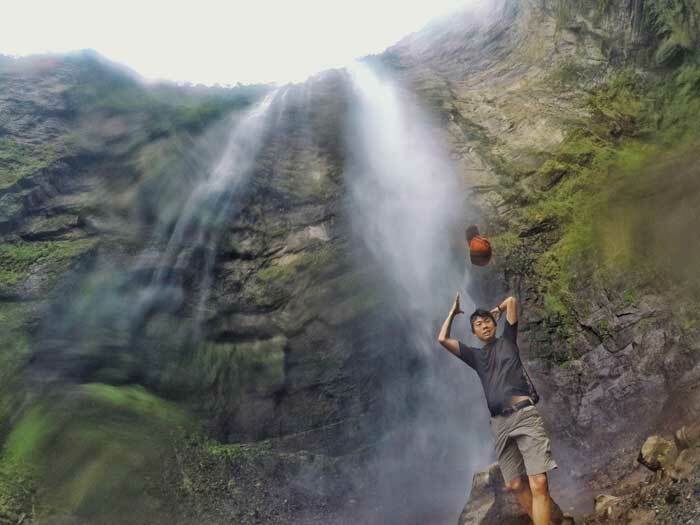 Imagine going on a few hours’ hike, crawling through tunnels, leaping across rocks and getting drenched in sweat only to arrive to the base of an overcrowded 5m high waterfall. That happened a lot. This time, I wasn’t disappointed. You either get dropped off (if going by tour) or arrive at the little town of Cocachimba (if doing independently) and start the 5km hike through a dense forest. The path is straightforward as you walk with hardworking locals carrying heavy loads on their backs, horses ferrying tourists and along the scenic green mountains beside you. The route alternates between a long descent and a few gentle, slightly muddy path and slippery steps under the shade of the trees. If you’re in good physical condition and enjoy hiking, it’s an easy hike. Kids do it. Horses are available for hire up to the bridge midway and from there you’ll have to walk. From the bridge, you’ll hear Gocta before seeing it. As the crashing of the water onto the rocks get louder, so did my anticipation. From time to time, glimpses of Gocta cheekily appeared between gaps in trees. Somehow, it always appeared at the moment when I felt tired, and the sight of it kept me going. After 1.5 hours, the trees finally opened up and right there, in full view was the Catarata del Gocta. I am not exaggerating when I say this could be the most beautiful natural phenomena I’ve seen after 8 months of travelling. While the waterfall looks like a thin trickle from far, up close it looks pretty damn impressive. 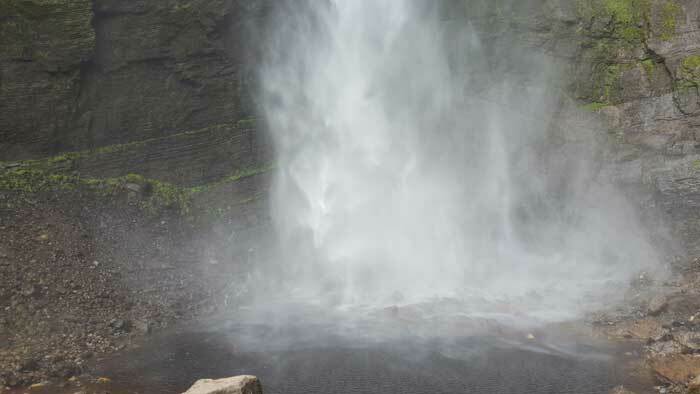 Made up of two tiers, the upper part disappears as you look from the base of the falls – eclipsed by trees and a ledge. The second tier flows along a nearly vertical slope and then plunge freefall into the pool below. The shower is so powerful and strong you wonder if it is the rain or just the waterfall. As I stood there and appreciated the majesty of it all, I noticed that the water at the bottom looked like clouds. It looked ethereal. The best part is that there are so few people at the falls there are no annoying photobombers. The other waterfall I visited that matches Gocta in terms of impressiveness is the Iguazu Falls, but you could never get a perfect photo there. The waterfall is protected by a white-haired mermaid spirit who lived in the water and cursed anyone who revealed the whereabouts of the falls. A certain Juan Mendoza was reportedly turned into a stone below the falls. Stories and legends direct the lives of the people who live in mountains and forests, and it’s no wonder they kept the location of the falls to themselves. 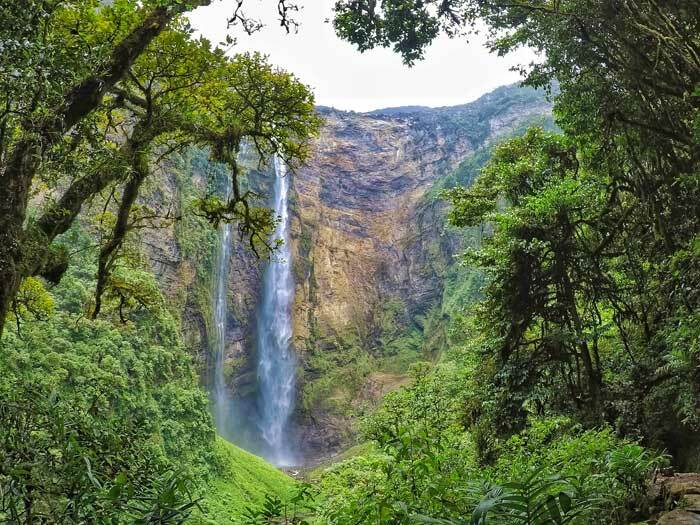 Gocta is measured to be 771m and at the time of measuring, puts it as the third highest free-leaping waterfall in the world after Angel Falls in Venezuela and Tugela Falls in South Africa. This ranking is highly debated and was apparently based on outdated and incomplete information gleaned from the National Geographic Society. The World Waterfall Database ranks Gocta as the 16th tallest. 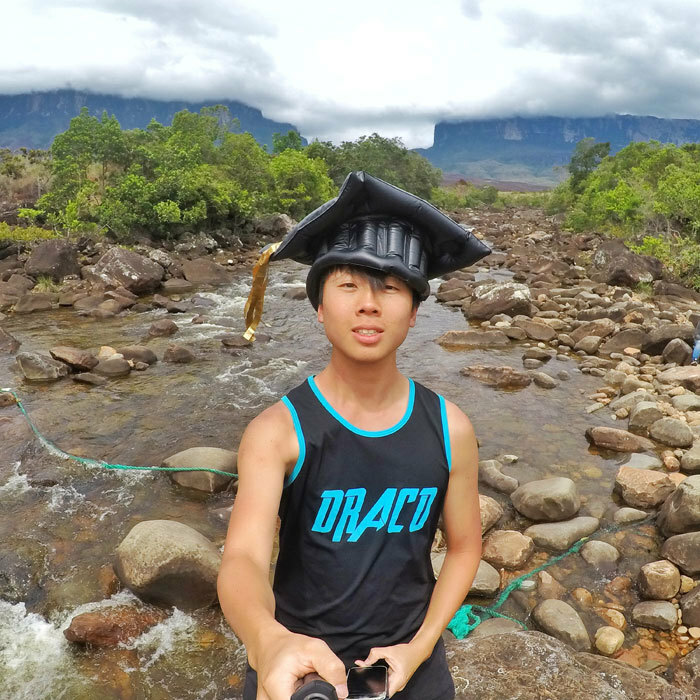 Whatever the ranking, Gocta is truly an impressive waterfall to visit. At its altitude, clouds occasionally cover parts of the fall, giving it a mystical feel. You can also go for a swim in the icy pool underneath the falls – if you’re brave enough. The chilling gust of the water can be felt even after walking for 5 min away from the fall. It is hard for me to tear myself away from the beautiful sight of the majestic falls. As I left, I turned back many times – just for another look. I regretted going on with a tour. I was pretty much by myself the whole hike and no explanation was needed. I also had to wait almost 2 hours for others. The good thing is transport and lunch are provided. 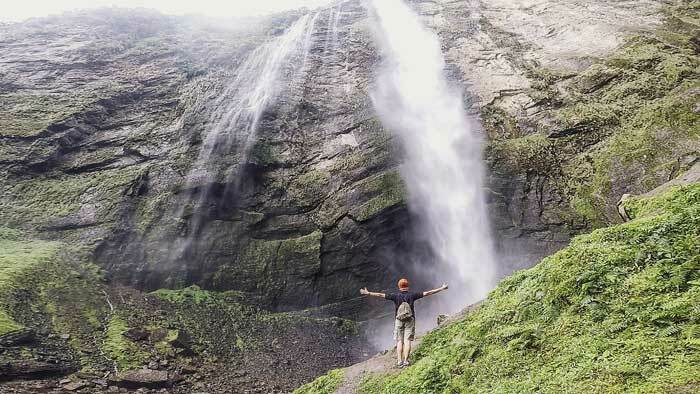 To get to Gocta Falls, you can easily take a colectivo to the town of Cocachimba and hike up to the falls. The problem is finding a transport back to town. Make sure you arrange it with your driver when you come. The other reason I came to Chachapoyas was to satisfy the ruin lover in me. 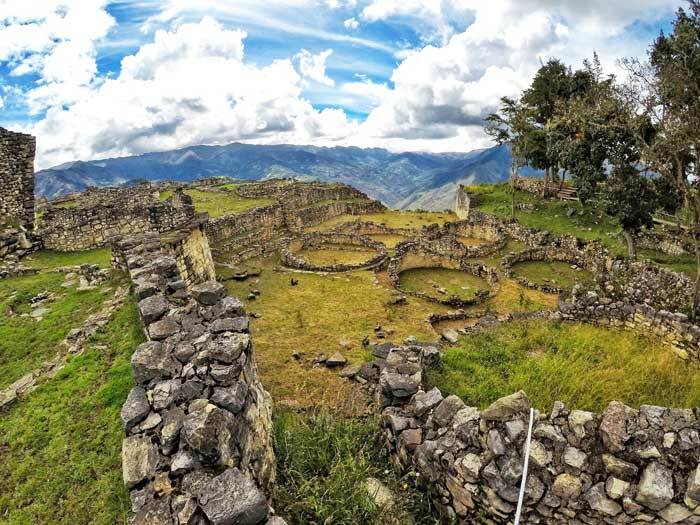 The Kuelap Ruins is known as the ‘second Machu Picchu’ – like so many other major archaeological sites. 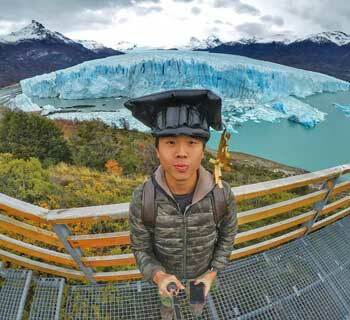 What better place to visit than the ‘Machu Picchu of the North’? 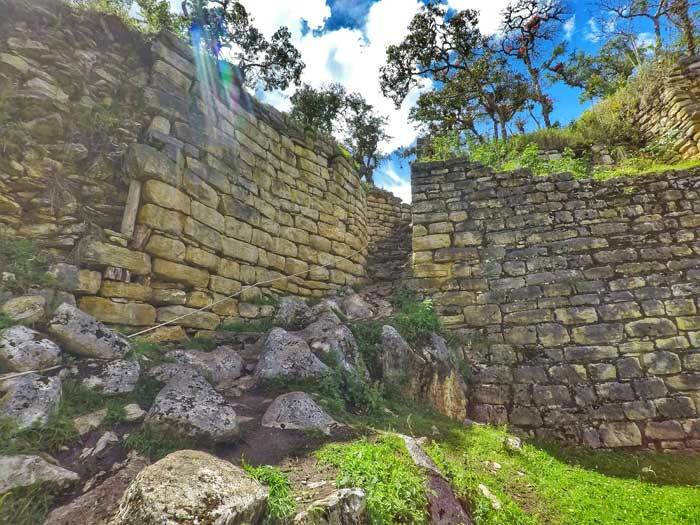 Most travel bloggers wrote about their visit to Kuelap by hiking for four hours or driving up two hours on an unpaved road to the site. They were all glad to have done it ‘before the cable car is built’ and ‘before the hordes of tourists arrive’. I am too late to join that bandwagon. 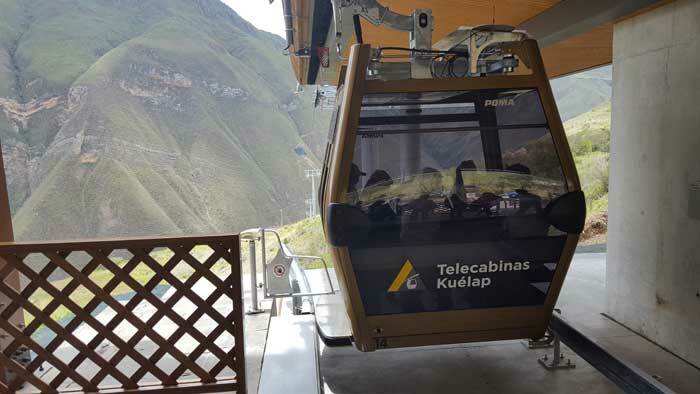 Since January of 2017, the cable cars are finally running. I am one of the masses now. The improvement in tourist infrastructures has brought along improved accessibility to the ancient site. 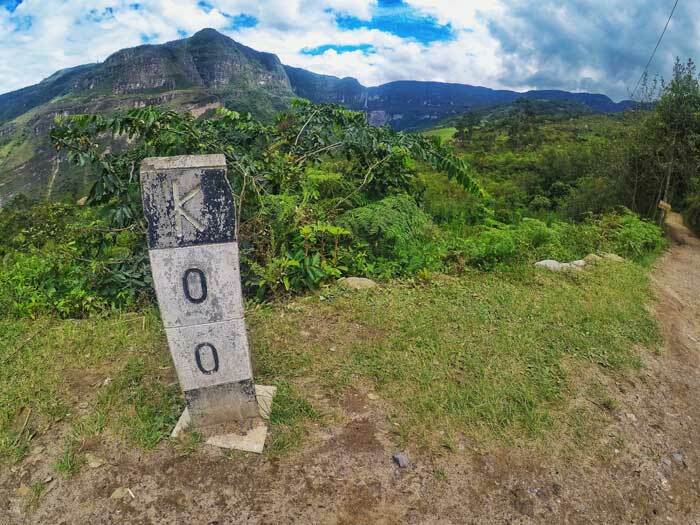 Now, it takes just 20 mins to ascend from the town of Nuevo Tingo up to the site entrance, then another 2km walk to the ruins. 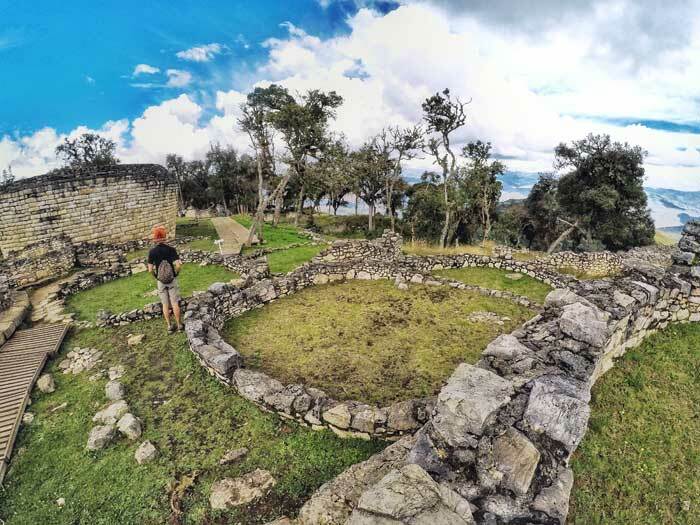 As I walked with the majority-Peruvian group, our guide Jeffery explained that Kuelap was built sometime between the sixth and sixteenth century by the Chachapoyas civilization, also known as the ‘warriors of the cloud’. It’s easy to see why they called themselves that. The site is located high atop a mountain for them to be closer to their Gods and is also mist covered. Due to this location and the massive 20m tall stone walls, Kuelap was thought to be a military fortress. As we entered the complex via a narrow passageway - designed to allow just one person to pass through – we saw not only military buildings, but also domestic and religious ones. There are over 400 circular houses and many of these structures were decorated with artistic triangular and diamond-shaped carvings that are thought to be symbols of fertility. 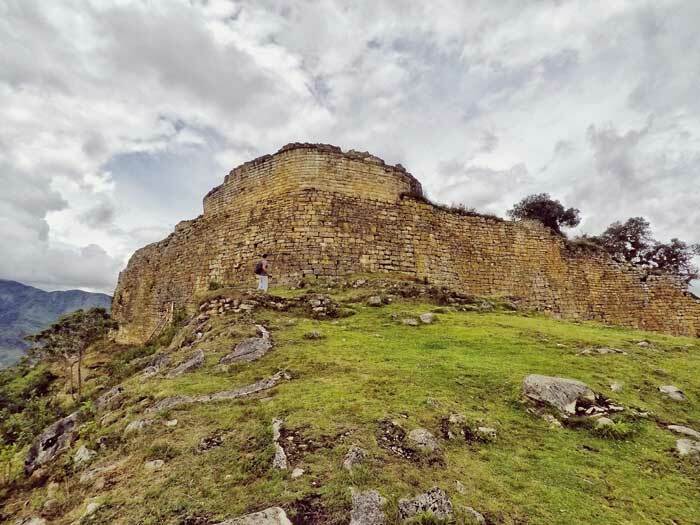 For these reasons, Kuelap acted more like a walled-city than a military fortress. In fact, at its peak, Kuelap housed more than 3000 residents. As we walked along the moss-covered trees and bromeliads, we peaked into some of the circular houses. Inside, there were deep fire pits and giant mortars. 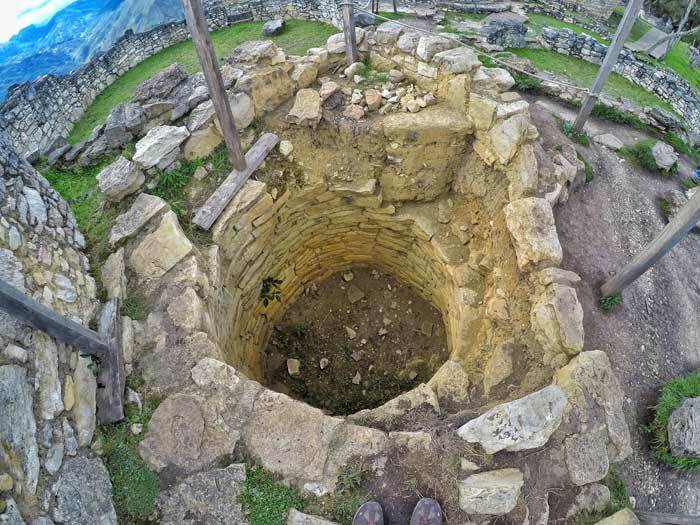 Jeffery explained that the Chachapoyas buried their family members in their homes – beside the guinea pig pits. Yes, the living, their food source and the dead “lived” together under one roof. One of the most common questions was: Why were the houses circular? Some say the shape represents the sun and moon and were built for religious and astronomical purposes. Some say they were round to prevent collapses during earthquakes. Others say the absence of sharp corners prevent evil spirits from entering. They might have stopped evil spirits but they did not prevail against conquerors. 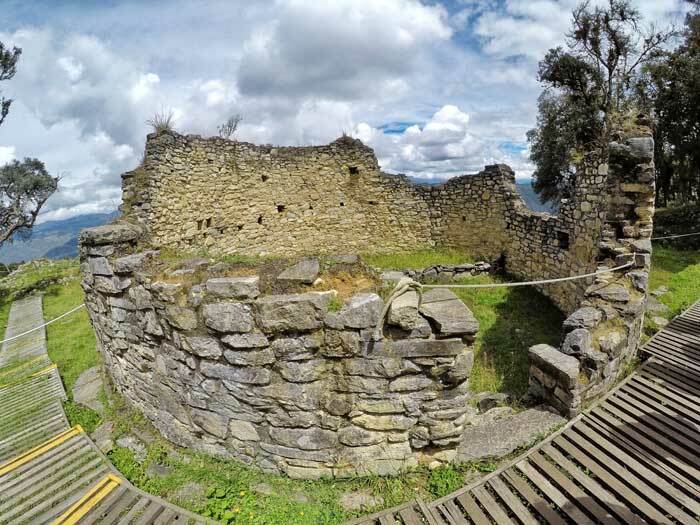 Kuelap was conquered by the Incas and later abandoned and forgotten after the arrival of the Spaniards in the 16th century. It was only discovered in 1843 but much of it was damaged by poor water drainage, fires and erosion. Some of the houses look like they were ripped off by a giant invisible hand of nature. Efforts by the government are made to preserve the site. Wooden platforms are placed throughout the site for safe walking. 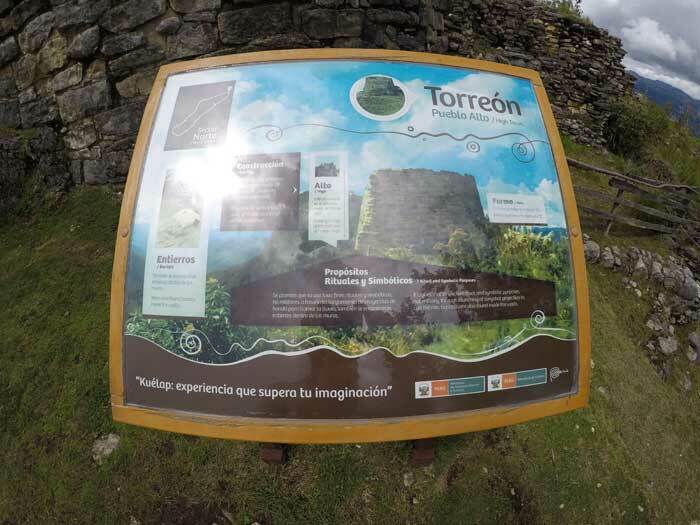 Information posts are placed at different point of interests, and are written in Spanish and English. 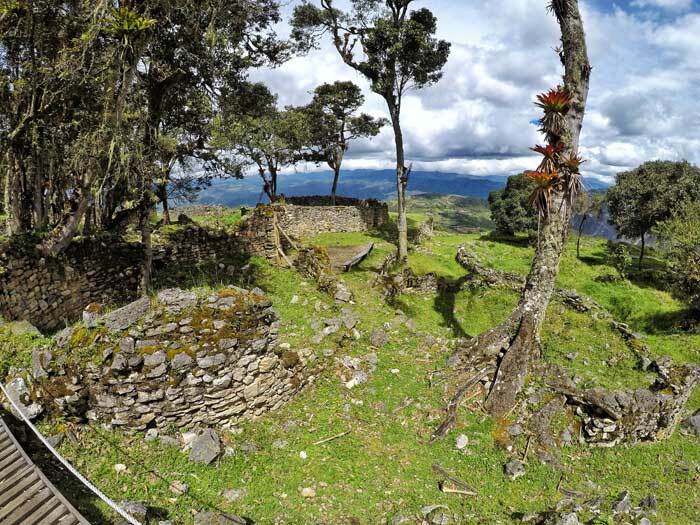 Despite all these efforts, the 65 000 squared-meters Kuelap still looked more like a ruin in the woods – wild and very green. It has a long way to go before it is completely excavated like Machu Picchu. The region surrounding the complex, however, is breath-taking. Unlike the Gocta Falls, I recommend signing up with a tour because of the historical significance of these ruins. Chachapoyas Backpacker Hostel offers a great value tour that includes an English-speaking guide, transportation, cable-car ticket, entrance to the ruins and lunch – all for PEN $80 (Oct 2017). You don’t have to stay at the hostel to sign up with them (I didn’t). To do it independently, you’ll first have to get a colectivo along a bumpy ride to the town of Nuevo Tingo. Don’t bother exploring the town – I did it and it has nothing. There, you walk up to the cable-car station, buy your ticket, take a shuttle bus, change to the cable-car, then pay for your entrance before walking 2km to the ruins and get no explanation. 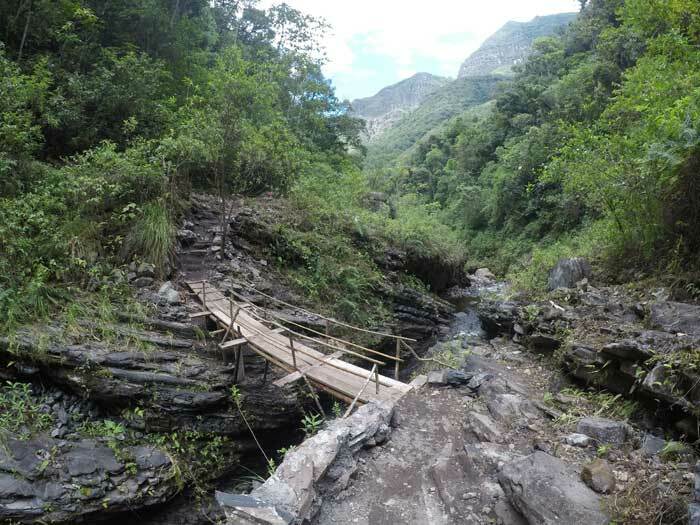 Then you’ll have to find transport back to Chachapoyas. The individual prices of each ticket and transport (without lunch) add up to be over the price of the tour. This city isn’t easy to get to, hence the few tourists. 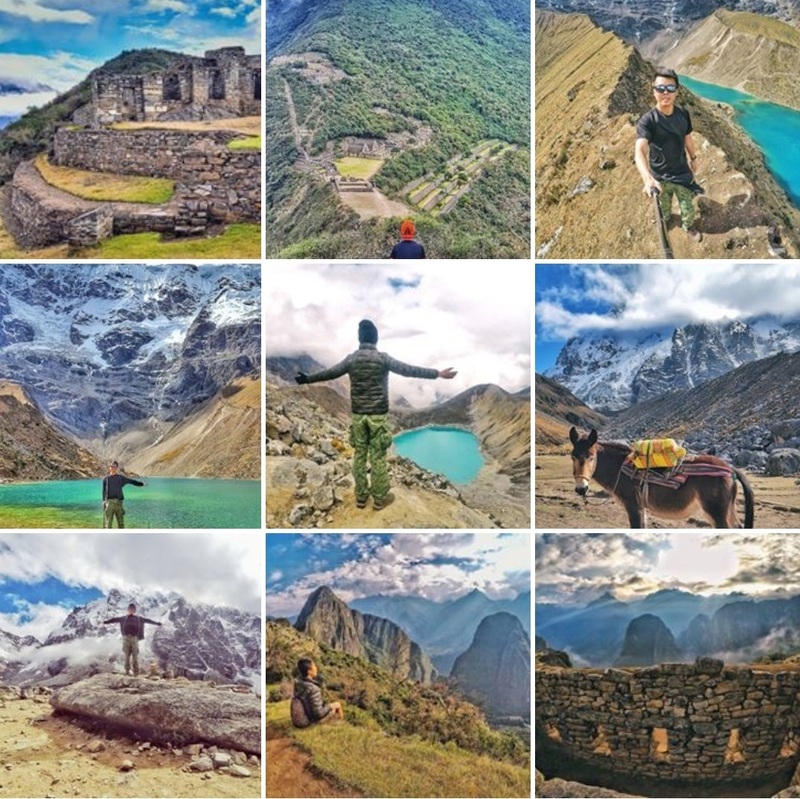 From Lima, you first take a flight to Tarapoto or Cajamarca, followed by a 6-9-hour bus ride to Chachapoyas. Or you can take the 22h bus direct from Lima to Chachapoyas. There is a new connection to Jaen Airport which is nearer to Chachapoyas city. Fly from Lima to Jaen, taxi from Jaen to Bagua Grande, and colectivo from Bagua Grande to Chachapoyas. Total travel time = 5-6 hours. Hope you don’t turn to stone! You just told us all about the waterfall! Hello, could you please tell how did you get a mini-van to take you to Chachapoya from Tarapoto? Hi Yuri, just go to the bus terminal in Tarapoto. The mini-van is actually a mini-bus. The guide I had with the tour I signed up through Chachapoyas Backpacker Hostel speaks very good english.